This web page was produced for Genetics 564, an undergraduate capstone course at UW-Madison. Schizophrenia is a chronic disease of the brain that causes an alteration of one's perception of reality. This distortion of reality severely affects a person's thoughts, as well as their feelings and behavior . Emil Kraepelin, a German physician, described the symptoms of schizophrenia in 1899 using the term dementia praecox, which means “premature dementia” in Latin. His preliminary description of the disease included the deteriorating emotional and cognitive symptoms of the disorder, and proposed that the pathophysiology of dementia praecox dealt with abnormalities in the frontal and temporal lobes . Eugen Bleuler, a Swiss psychiatrist, coined the term “schizophrenia” in 1916. It is composed of the Greek roots “schizo” and “phrene”, meaning “split mind”. With this name, Bleuler emphasized another important feature of the disease; the disconnect between thoughts, feelings and behaviors [2,3]. Although the exact definition of schizophrenia has shifted over time, an important feature of the disease is its broad array of symptoms and subtypes. The fifth edition of the Diagnostic and Statistical Manual of Mental Disorders (DSM-5) has the most updated definition and diagnostic criteria of schizophrenia along with other disorders [2,3]. The most detailed description of schizophrenia and its clinical manifestations can be found here . There is still much to learn about schizophrenia, such as the exact causes and the pathogenic mechanisms of the disease. However, it is known that genetic background, environmental factors, and differences in brain chemistry and structure play a role in the development of schizophrenia . Encourage them to begin and continue their treatment. Remember that they cannot always control their thoughts, emotions, and behaviors. Acknowledge that everyone has a right to see things their own way. Respect and support them without tolerating dangerous and inappropriate behavior. Seek help from a support group in your area . 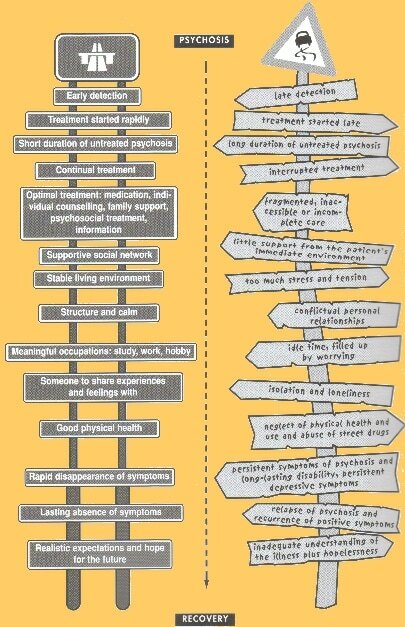 Figure 1: Different risks of developing schizophrenia based on relationship to the affected individual. Additionally, there are several other helpful resources linked at the bottom of this page. From the first observations and descriptions of schizophrenia by Kraepelin and Bleuler, the disease was divided into subtypes that outlined the variability in symptoms and outcomes of different cases . Further research on schizophrenia has yielded more detailed and quantitatively measurable symptoms, but the DSM ditched the subtype categorization after the fourth edition because subtype diagnosis can change as symptoms shift throughout the course of the disease [4,5]. The numerous symptoms of schizophrenia can be put into three categories: positive symptoms, negative symptoms, and cognitive symptoms . Hallucinations are sensations that someone feels which are not actually present in reality. They can occur for any of the five senses, however auditory hallucinations are the most common. Typically, people will hear voices that are distinct from their own thoughts, and these voices will critique, argue, mimic, or command their thoughts and actions . Delusions are false beliefs around several themes that someone holds with extreme conviction, regardless of evidence that these beliefs are not true. They can be persecutory (believing you are being watched or followed) or referential (believing that parts of books, movies, and the environment are specifically directed at them). Delusions can take many forms, but will be experienced at some stage by a vast majority of schizophrenic individuals . Thought Disorders cause abnormal or dysfunctional ways of thinking. These affect the way a person connects their thoughts and spoken language. It can be difficult for a schizophrenic individual to communicate with others or behave in compliance with social norms due to thought disorders [1,7]. Movement Disorders cause abnormal body movements. These can be agitated (making unpredictable, erratic movements) or catatonic (muscle rigidity, holding still and resisting movement) [1,7]. Avolition – a loss of motivation, energy, or interest in normal activities. This can affect an affected individual’s behaviors towards their health, hygiene, school, or work lives . Anhedonia – a loss of feeling and pleasure in everyday life. It can cause one to no longer enjoy social or recreational activities and to withdraw from relationships [1,7]. Alogia – reduced, vague, or repetitious speech. Those affected may partially or completely refrain from responding to others [1,7]. Flat affect – reduced outward expression of emotion. People may still feel emotions internally but have difficulty expressing emotion through eye contact, facial expressions, body language, or voice tone [1,7]. Poor ability to analyze information and make decisions (executive functioning) . Trouble with focus, attention, and concentration [1,7]. Memory problems, especially with “working memory” (ability to utilize information shortly after learning it) [1,7]. Schizophrenia is a widely variable disease with many different symptoms and causes. In addition to environmental factors, schizophrenia has been found to contain a strong genetic component . In January 2016, research was published that analyzed schizophrenia cases from 22 countries and explored the locus with the strongest genome-wide association to schizophrenia in the studied population. This was the Major Histocompatibility Complex (MHC) locus on chromosome 6, which is best known for its role in immunity. Within the MHC locus, the researchers found that variation in structurally diverse alleles of complement component 4 (C4) genes promoted differential expression of C4A and C4B in the brain. These different alleles contribute differently to schizophrenia risk in proportion to the level of C4A expressed by each allele; higher C4A expression was associated with higher schizophrenia risk . Figure 2: The location of the C4A gene on chromosome 6 is indicated by the yellow arrow. The C4 gene encodes C4 precursor protein which is proteolytically cleaved to yield C4A and other isotypes . The C4A isotype plays an essential role in the classical complement pathway, an integral part of the innate immune response that recognizes and eliminates pathogens and cellular debris, by forming amide bonds to effectively bind immune aggregates and protein antigens [8,9]. In the brain and nervous system, C4A may work with other complement components to promote the elimination of synaptic connections, known as “synaptic pruning”. The fact that decreased synapse numbers have been reported in schizophrenic patients and the association between C4A expression and schizophrenia risk indicate that the synaptic pruning abilities of C4A play a role in schizophrenia pathogenesis . A person has two or more of the following symptoms, and each must be present for most of a one month period (can also be less than one month if treated successfully). One of the symptoms must be either delusions, hallucinations, or disorganized speech. Social or occupational dysfunction must be experienced for a significant period after the onset of symptoms. The symptoms must persist for at least six months, with at least one month of two or more symptoms persisting. The DSM-5 also requires that a diagnosing physician rule out other possible causes of the symptoms, including substance abuse, medication, or other medical conditions [4,10,11]. Early diagnosis is very important in helping a patient manage the disease, reduce their psychotic episodes, and ultimately recover from schizophrenia . Antipsychotic medications – usually a daily pill or liquid medicine, but some can be given as an injection once or twice a month. Patients should collaborate with their psychiatrist to determine what antipsychotic type and dosage works best for them. Coordinated specialty care – this treatment integrates many different treatment methods including medication, psychotherapy, family involvement, specialized education and employment to reduce symptoms and the likelihood of long-term disability from schizophrenia . Figure 3: Outline of the different steps towards and away from recovery. Below you will find resources that contain more information about schizophrenia, support, and treatment options.